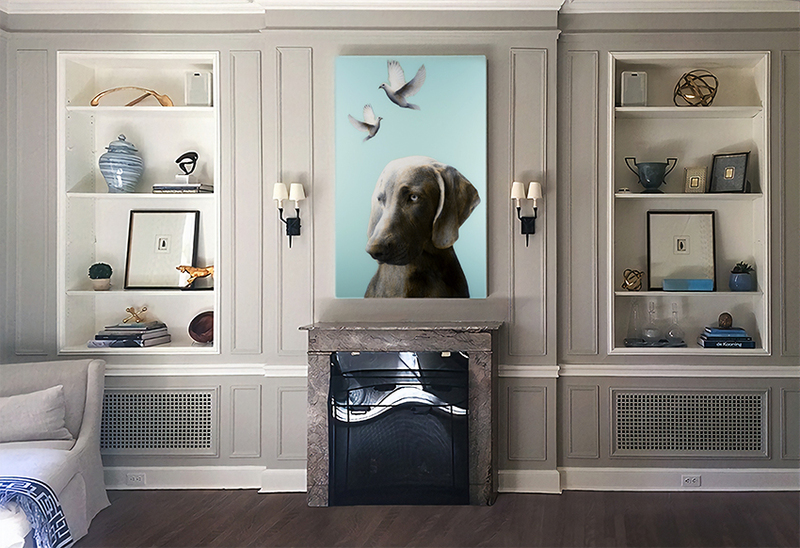 Playful and poetic, Anke’s Two Doves renders this interior into a world of polished imagination. The mixed-media piece joins various precious artifacts and personal memoirs along the recessed shelves, each telling a dazzling tale of its own. Together, the pieces sing in harmony and invite you to a place of wonder and fascination.